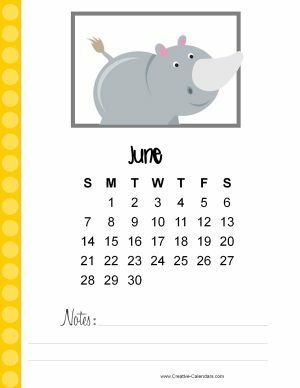 Each page has a different animal in a different color. 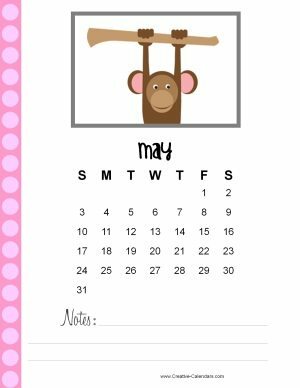 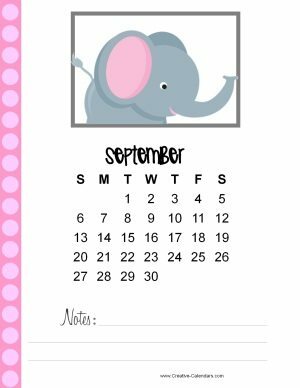 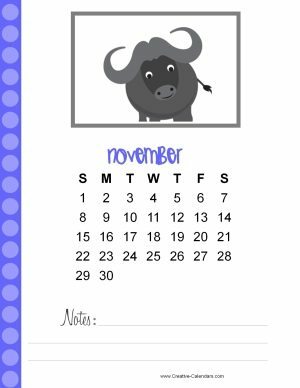 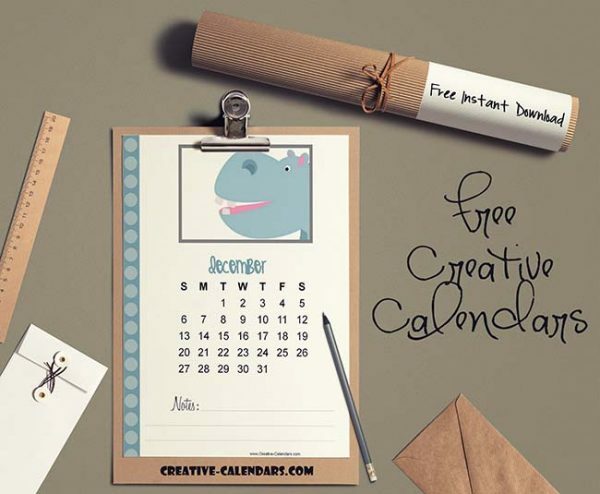 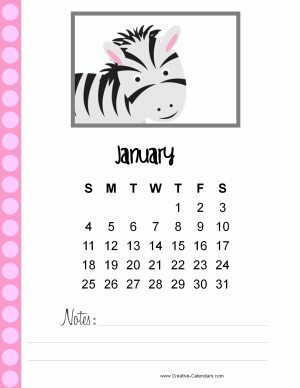 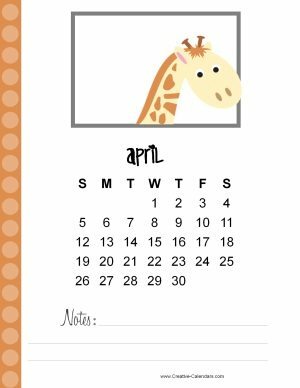 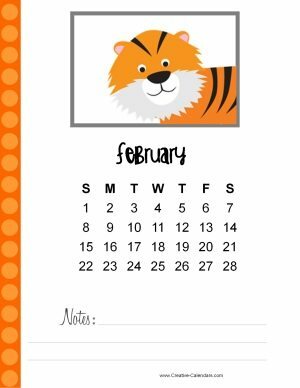 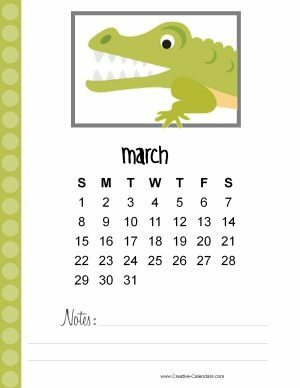 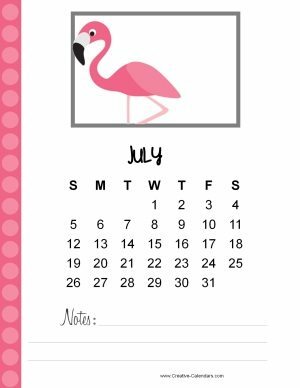 You can either print each month to create a cute calendar for a full year or mix and match and choose a new calendar for each month in a different design. 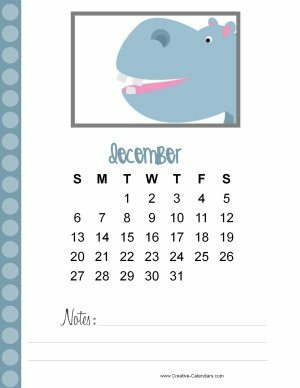 Please note that the sample calendars are not updated and serve to show you how the design will look but when you click on “customize” you can add any month from the year 2017 or 2018. 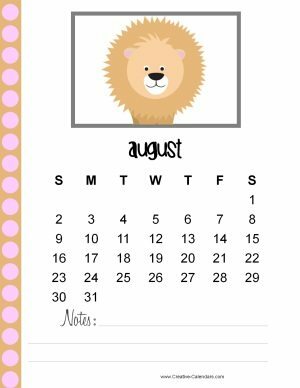 Select the template that you want to use and then select the month. 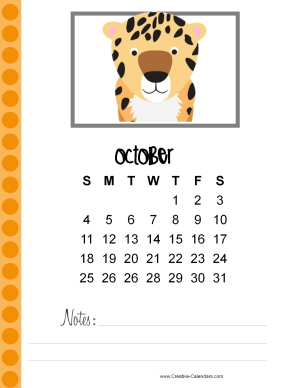 You can add your own text by click on the A icon.